Greg, John, and Pat discuss OMG which many in today’s society have come to know as Oh My God. They share how reportedly the government has contracted “Oh My Gov which is an allegedly a government social media site which mines data. They continue to discuss whether that means anything to this generation. They further discuss the message “S.O.S. Tale of Two Kings; Samuel or Saul”, which is available in the web store. Which king will we bow down to either God or government? The reason it’s S.O.S., save our ship, because America is like a giant ship that is going down and God is tapping out a message. America is in trouble. They continue to discuss the special offer”Is America Under Judgment?” A legitimate question that can only be answered by looking at the facts of where we are presently at as a nation and what God says about it in His word; the Bible. As a former law enforcement officer, now a minister, Greg Lancaster looks at the three phases of judgment spoken of in Romans Chapter 1 and with each phase he looks at the evidence of what the Church has done and what we’re seeing take place in our nation. You can hear the evidence and come to your own conclusion. America must decide are we going to go the way of God or the way of government? God is not looking to write you out but instead right you in. LISTEN NOW! 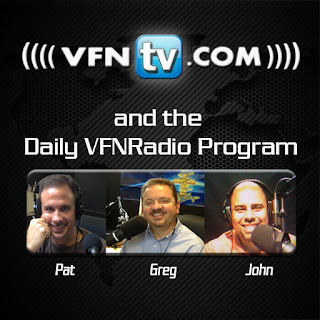 Pat, Greg, and John discuss approaching God with honor. Ecclesiastes 5:1-3 states “As you enter the house of God, keep your ears open and your mouth shut. It is evil to make mindless offerings to God. Don’t make rash promises, and don’t be hasty in bringing matters before God. After all, God is in heaven, and you are here on earth. So let your words be few. Too much activity gives you restless dreams; too many words make you a fool.” They underscore the importance of how we approach God and how we are to guard ourselves from familiarity and not forgetting that He is a holy God and we should be mindful of the way we approach him. We should approach God with honor and not in a mindless and trivial way. It all boils down to if we have honor for God in our heart because if we do we are careful in our approach to him. In this moment of wisdom found in Proverbs 30: 11-15 “There are those who curse their fathers and do not bless their mothers; those who are pure in their own eyes and yet are not cleansed of their filth; those whose eyes are ever so haughty, whose glances are so disdainful; those whose teeth are swords and whose jaws are set with knives to devour the poor from the earth and the needy from among mankind. “The leech has two daughters. ‘Give! Give!’ they cry.” They continued to discuss how this explains much of what we are seeing in today’s society. Don’t get confused dishonor just proves who they are. Absalom believed he was right. They are pure in their motives looking down and criticizing them. They continue to discuss the importance of getting back to the government of God which is family and teaching the body of Christ how to function as family. It is time to restore honor for fathers and mothers again and it all starts in the church.